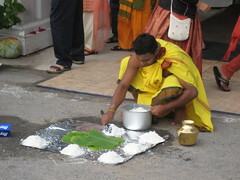 Hinduism is the world’s third largest religious tradition. On the whole, Hindus recognize the oneness of the Divine, as well as the many gods and goddesses who give expression to the Supreme. 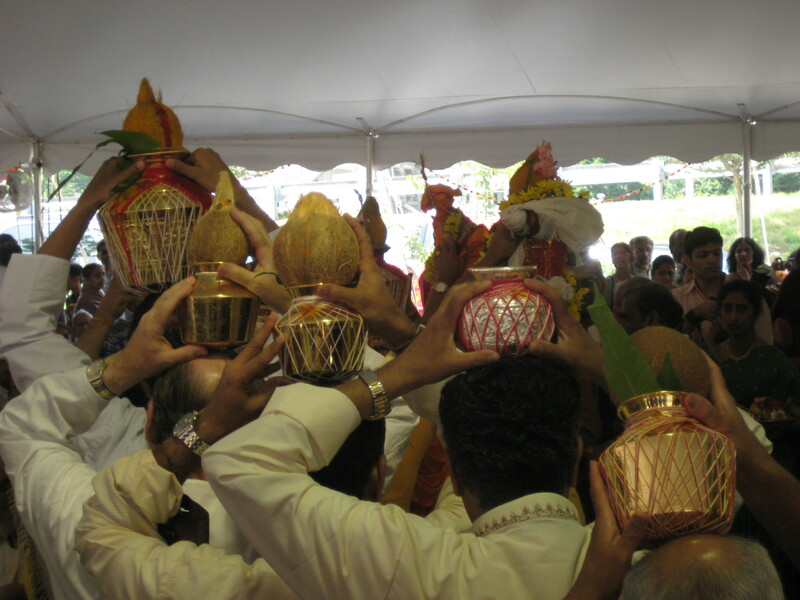 When immigrants from South Asia first came to Greater Boston, they worshipped and celebrated festivals in homes and rented halls, but eventually saw the need for temples to institutionalize and preserve their religious and cultural heritage. Today, there are close to forty Hindu religious centers in Greater Boston, including the Sri Lakshmi Temple in Ashland, which serves as a major religious pilgrimage site for a diverse community of Hindus from throughout New England. In the 1970s, new Indian immigrants, most of them professionals, began to have children and put down roots in their new American communities. As they looked toward the future, they realized that their children would have no cultural or religious foundation unless they took action to create a temple. 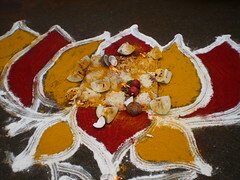 Here in Boston, a group of Tamil families from South India met for puja and festivals in one another’s homes. In 1978 they incorporated as the New England Hindu Temple, Inc. and held their first public event, a Divali or Lakshmi Puja, at the Knights of Columbus Hall in Melrose. 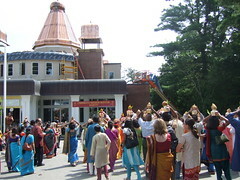 For the next eight years, the New England Hindu Temple met regularly in the Needham Village Club. As one member recalled, “We used to go there once a month on a Sunday morning, clean up the whole place, rearrange the chairs, arrange the deities, and worship from about ten to two. 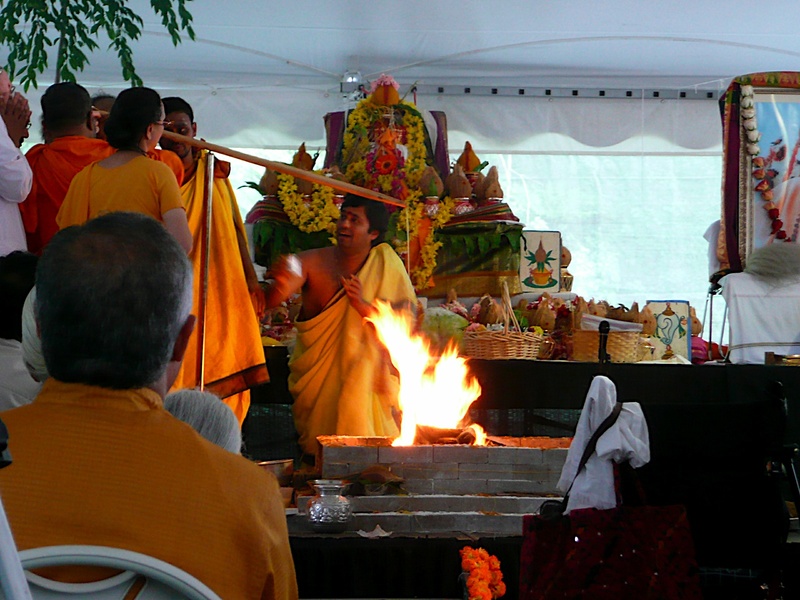 Then we would eat together, clean up the place, and go.” In May 1990, the first major Hindu Temple was consecrated in New England: the Sri Lakshmi Temple, in suburban Ashland. Nearly twenty years later, in July of 2009, the Hindu community celebrated the consecration of the newly-renovated Chinmaya Maruti Center in North Andover. 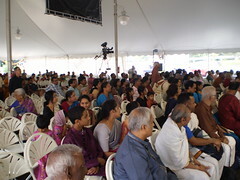 In a large white tent bordering Route 495, amidst the hum of traffic, 200 Hindus gathered to take part in the procession. As the procession moved through the crowds, people blew conch shells and ceremoniously smashed coconuts on the ground. 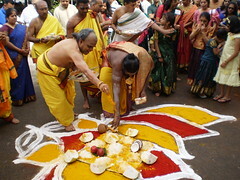 Afterwards, children ran around the center grounds, stopping briefly to munch on idlis and pakoras. 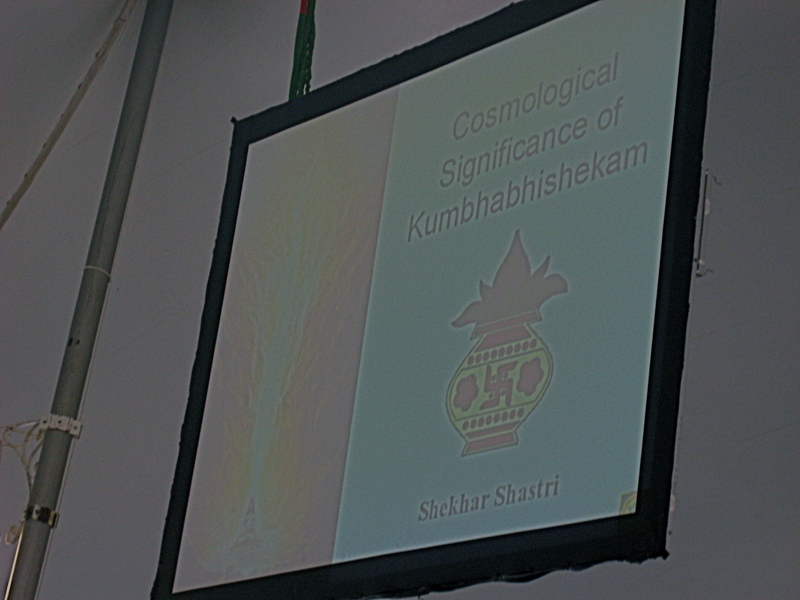 Those who didn’t understand the origin or meaning of the consecration ceremonies might speak with one of the many priests, clad in saffron robes; others could learn about the cosmological significance of the Kumbaabhishekam from the PowerPoint presentation. 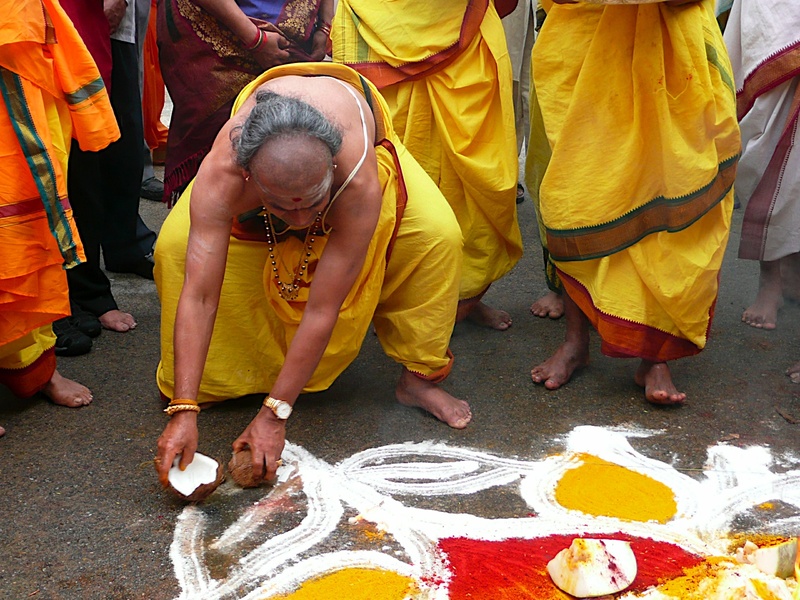 Today, Sri Lakshmi Temple and the Chinmaya Maruti Center are among the more than thirty-five Hindu temples—and a host of cultural, educational and religious groups—in Greater Boston. 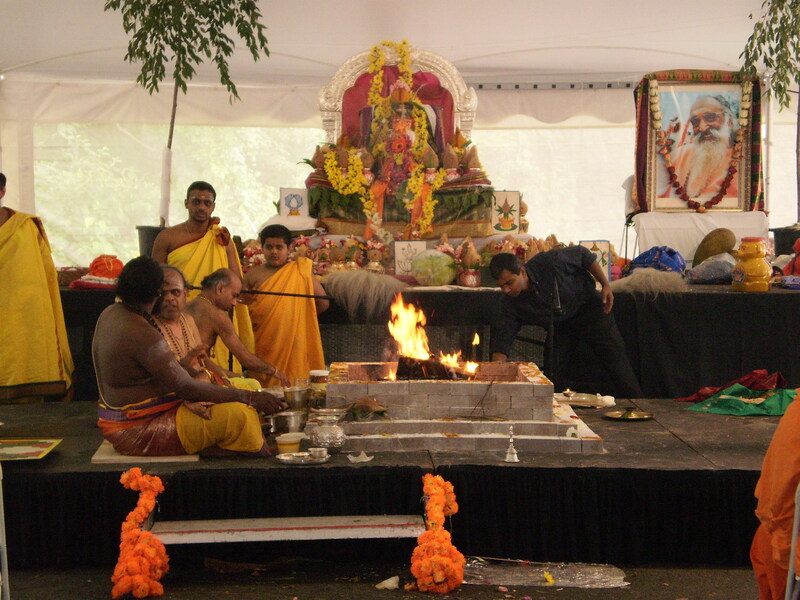 Centuries before the development of Hindu temples in Greater Boston, the ideas and the culture of India have had an impact on New England. The history of relations between India and Boston probably began with the trading ships that sailed back and forth from Salem and Boston to India in the early nineteenth century. Often it was “missionaries and ice” on the outbound journey. In 1841, for example, John Christian Frederick Heyer and three missionary couples sailed from Boston bound for Colombo, Ceylon (now Sri Lanka), on a freighter with a cargo of 260 tons of ice packed in sawdust. 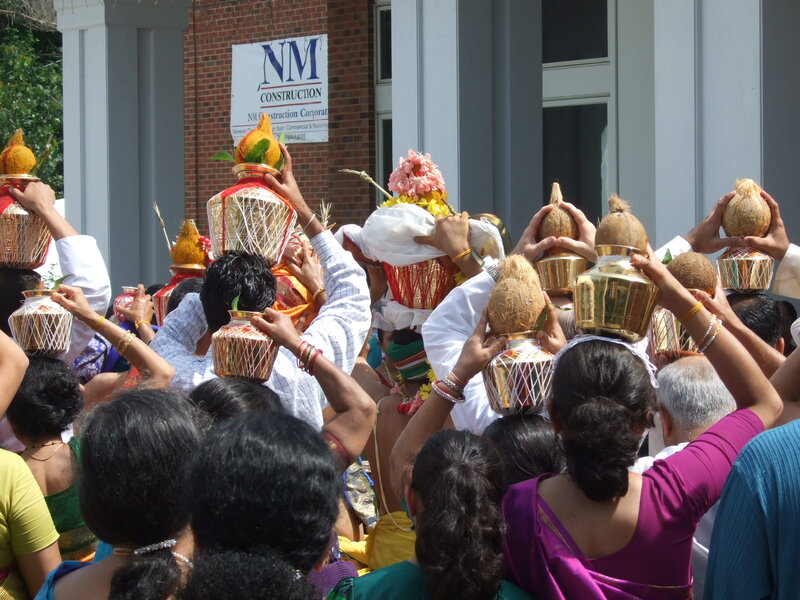 By the mid-nineteenth century, there were reports of Hindus participating in Salem’s Fourth of July parade. The Peabody Museum in Salem today houses a rich collection of Indian art and artifacts expressive of a rich period of commerce between India and New England. Hindu texts and ideas also became a lively part of the intellectual life of New England’s famous transcendentalists, Ralph Waldo Emerson and Henry David Thoreau. As early as the 1820s Emerson began to write of India in his journals. He was introduced to Hindu literature by his aunt, Mary Moody Emerson. By the 1830s, he had copies of the Bhagavad Gita and the Laws of Manu, and by the 1840s he began to publish excerpts from “Ethical Scriptures” in the transcendentalist journal The Dial. Thoreau clearly had the Bhagavad Gita with him during his sojourn at Walden. He wrote, “In the morning, I bathe my intellect in the stupendous and cosmogonal philosophy of the Bhagvat-Geeta . . . in comparison with which our modern world and its literature seem puny and trivial.” In the winter, he marveled at both the physical and mystical connection between the land of the holy Ganges and his beloved Walden. In 1855, Emerson and Thoreau received the Rig Veda, the Mandukya Upanishad, the Laws of Manu, the Sankhya Karikas, and Hardy’s Manual of Buddhism from a British friend, which must have been America’s largest trove of the wisdom of India at that time. Despite more than fifty years of interest in Indian thought, few New Englanders had met a Hindu. So in the late summer of 1893, when a young saffron-clad Swami Vivekananda arrived in Boston for a month’s stay before the opening of the World’s Parliament of Religions in Chicago, he attracted a great deal of attention. He was surely the first Hindu many people in New England had ever seen or heard speak about his own religious tradition. 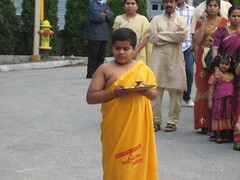 Vivekananda returned to Boston many times in the two years after the Parliament. He spoke at the Methodist church in Lynn, at the North Shore Club, at Radcliffe College, and at the Procopeia Club on St. Botolph Street in Boston. During the summer of 1894 he spent time at Sarah Farmer’s rural home in Eliot, Maine, a place called Green Acre where she invited the serious study of religious ideas. Here, the Swami taught Vedanta to a group of transcendentalists and seekers. During Vivekananda’s 1894 and 1896 visits, he held meetings in Cambridge at the 168 Brattle Street residence of Mrs. Ole Bull (Sara Bull), where a lively circle of people gathered to discuss everything from spirituality to women’s suffrage. He lectured twice at Harvard, in May of 1894 at Sever Hall and in 1896 to the Harvard Philosophical Society. 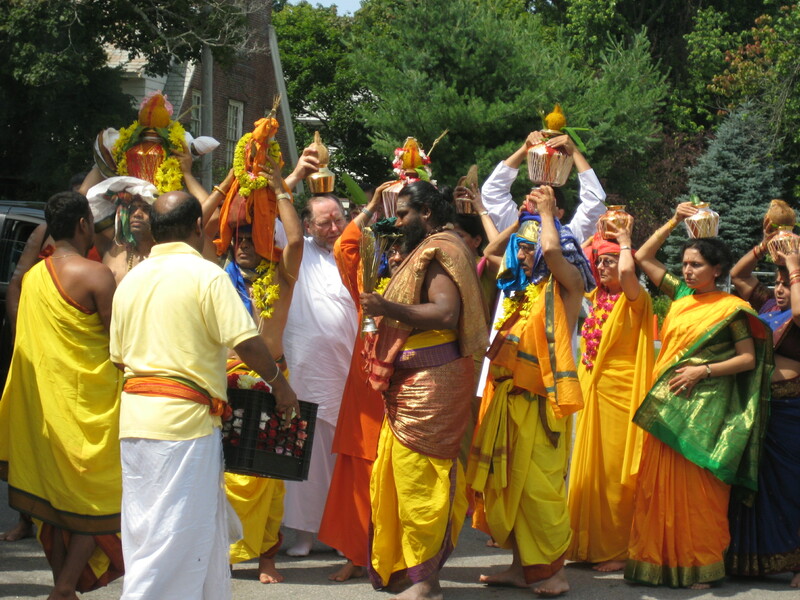 In the years following Vivekananda’s early visits to Boston, monks of the Ramakrishna order in India regularly followed in his footsteps, including Swami Saradananda in 1896, Swami Abhedananda in 1897 followed by Swami Paramananda in 1909 who established the first home of the Boston Vedanta Society on St. Botolph Street and a Vedanta Society Retreat Center in Cohasset. In 1941, Swami Akhilananda of the Providence Vedanta Center established a permanent center in Boston at 58 Deerfield Street in the Back Bay where the Ramakrishna Vedanta Society is located today. Another Hindu teacher who, like Vivekananda, came to America for a conference and stayed to found a religious movement was Paramahansa Yogananda. This Bengali religious leader resided in Boston until 1924 while giving lectures and teaching meditation techniques to a growing number of students. He and his students met in Davis Square in Somerville, Copley Square in Boston, and in students’ homes in Arlington and Brookline. Residents of Somerville, including Alice Hasey and Dr. and Mrs. Minot Lewis, were among the first members of the Boston Meditation Group in the pioneering years of Paramahansa Yogananda’s worldwide mission. After four years’ stay in Boston, Yogananda left the East Coast to head westward, eventually establishing the international headquarters of the Self-Realization Fellowship in Los Angeles, California. The Boston chapter of the group, located in Waltham, has a diverse membership belonging to various countries, languages, religions, races and ages. They continue in the footsteps of Yogananda through meditation practice and studying his teachings. From the late 1960s through the 1970s, new streams of Hindu religious life came to Boston, including gurus and swamis and the groups of seekers and followers they attracted. One such group was the International Society for Krishna Consciousness, or ISKCON, known more popularly as the Hare Krishna movement for its public chanting of “Hare Krishna, Hare Rama!” This distinctively devotional style of Hinduism was brought to the US by an Indian teacher, A.C. Bhaktivedanta Prabhupada, who began singing Lord Krishna’s name in a storefront on the lower East Side in New York. 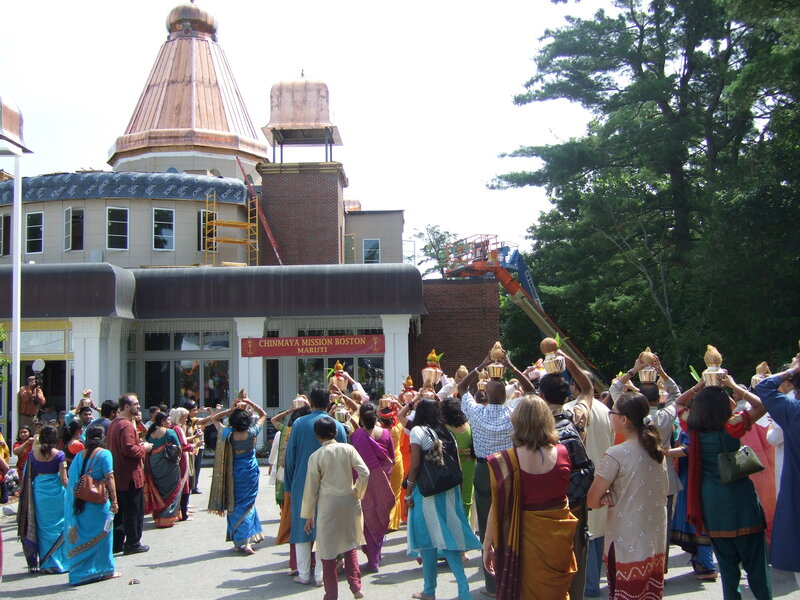 In 1968, the first ISKCON temple in the Boston area opened in an old house in Allston. After a few years, the community moved to a brownstone at 72 Commonwealth Avenue, where it continues today with a daily round of pujas in which the images of Lord Krishna and his beloved Radha are honored with incense, bells, oil lamps and flowers. 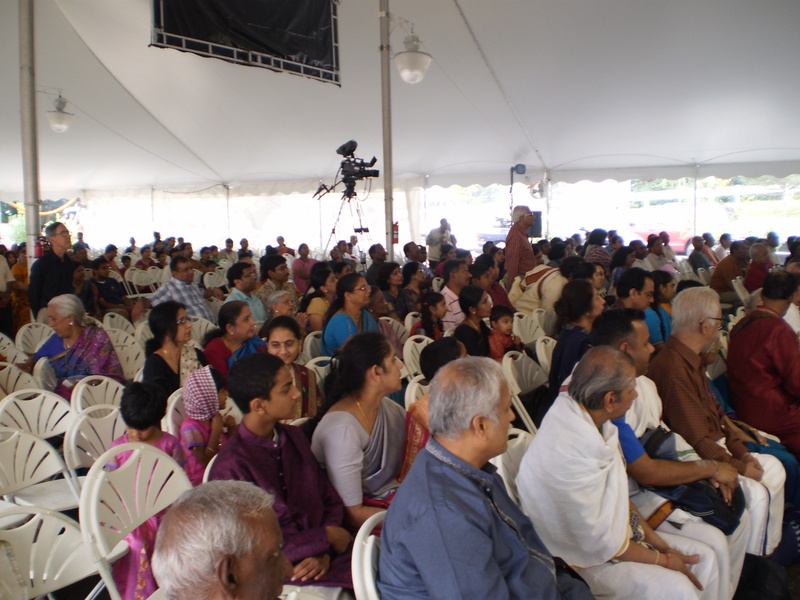 Over 300 people attend services regularly, and the upper floors of ISKCON’s building are inhabited by monastic residents who are responsible for the upkeep of the building, administrative work, and liturgical services including Deity worship, kirtan, and food preparation. 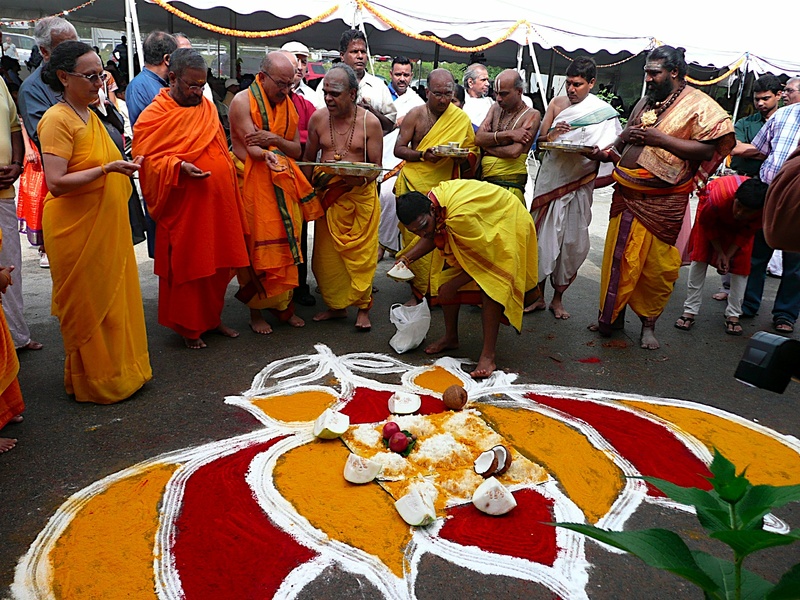 There has also been a strong move among the Hindu immigrant community toward providing educational programs for immigrants in order to retain the rich cultural heritage of the Hindu tradition. In 1978, a center called The Shishu Bharati School of Languages and Culture of India was established for children of Indian immigrants. 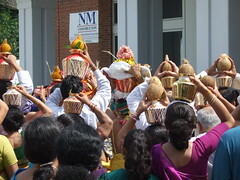 Today the school operates in Lexington and Norwood, where students learn songs, Indian languages, history, geography, religion, and culture. 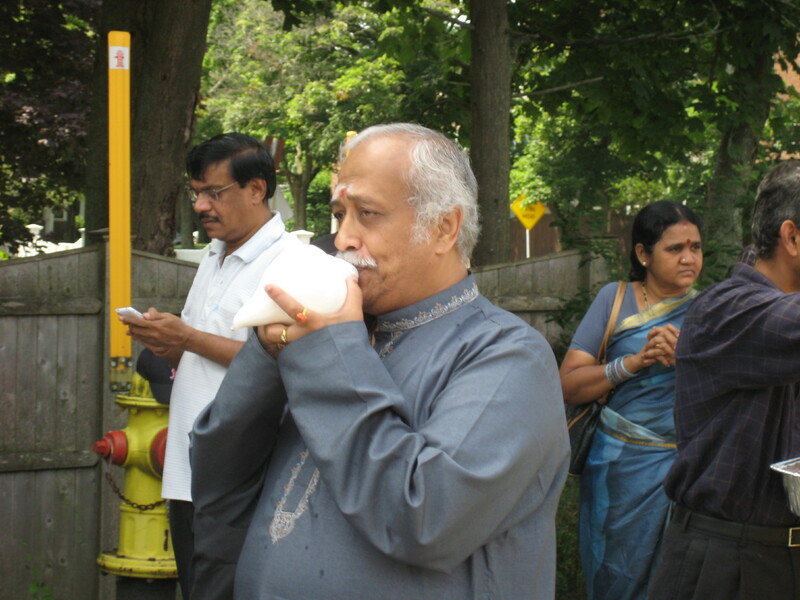 Concern for the education of the next generation is also one of the primary concerns of the Vishwa Hindu Parishad of America (VHP), which maintains a chapter in Boston. 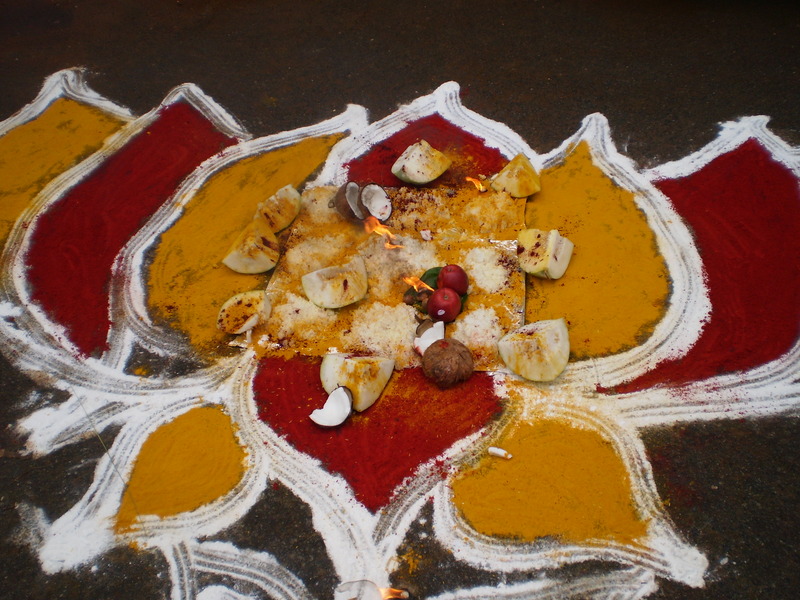 The chapter sponsors a youth camp called Bal Vihar, a program to educate children about Indian culture and heritage. 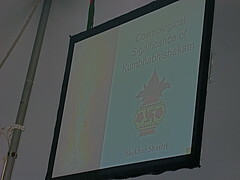 The chapter also organizes family summer camps to provide an opportunity for the youth and their parents to learn about and practice Hindu values while engaging in activities sponsored by the organization. The VHP-linked Hindu Students Council based at MIT brings Hindu students together from other area colleges. Dharma, Harvard’s Hindu student organization, became firmly established in the late 1990s. 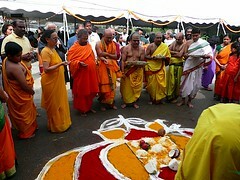 Today, Dharma holds frequent pujas in the university’s first-ever dedicated Hindu prayer space. 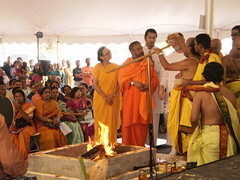 Other Hindu student organizations in the area include the Organization of the Hindu Mind (OHM) at Bentley University, the Hindu Student Association at Northeastern University, and Darshana, the Wellesley College Hindu Community. There are many Hindu temples with diverse memberships in the Greater Boston area. The Sri Lakshmi Temple is the largest, focusing on the traditional South Indian form of Hindu worship. 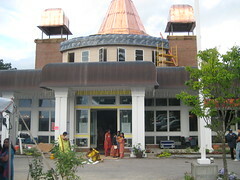 The Ganeshe Temple in Dorchester serves as a meeting place for Hindus from Trinidad and Tobago, Guyana, and Suriname. 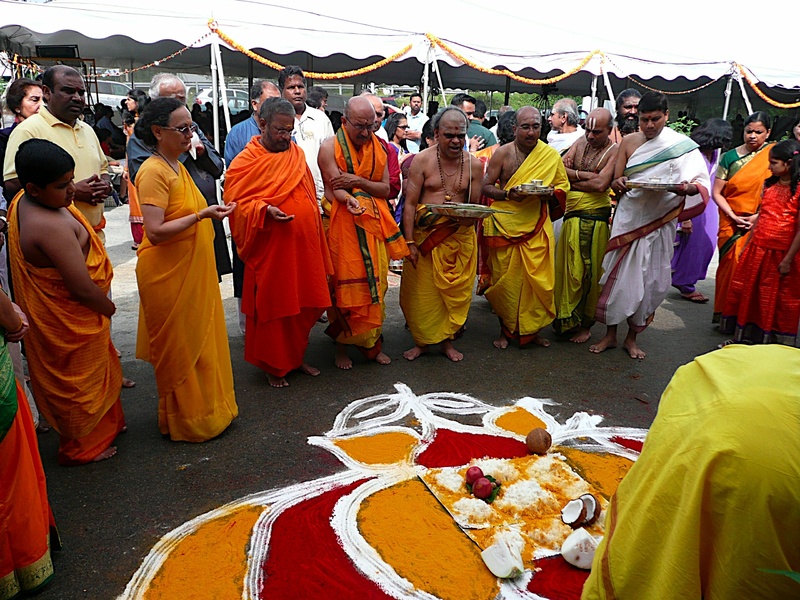 The temples of the International Swaminarayan Satsang Organization (ISSO) and the Bochasanwasi Shri Akshar Purushottam Swaminarayan Sanstha (BAPS) in Lowell demonstrate a strong focus on the North and Western Indian Hindu traditions of worship. The Chinmaya Mission located in Andover has had a long tradition of bringing spiritual leaders to the Boston area; Swami Chinmayananda lectured in Boston often during his lifetime. His week-long summer lecture series held at Harvard or MIT in the 1980s attracted hundreds of area Hindus. 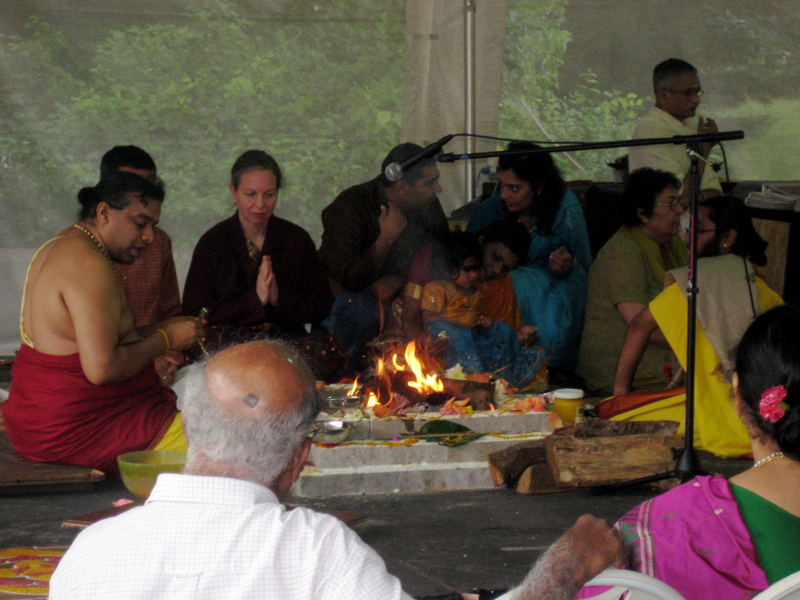 In recent years, a number of smaller satsangs—or groups that gather for meditation, songs, and study to follow various Hindu teachers—have been established in Greater Boston. 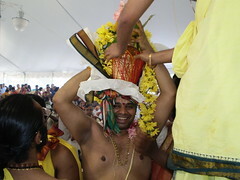 For example, a satsang of Mata Amritanandamayi, also known as Amma has been established in Waltham. Each year, thousands of people come to Amma’s summer program to hear her speak and receive darshan in the form of a hug. Another prominent satsang in the area is that of the Vrindavana Preservation Society (VPS) which is dedicated to the preservation of the holy land of Braj Mandal and mainly focuses on Goddess worship. VPS organizes weekly kirtans in the homes of its volunteer members where it also serves free vegetarian meals after the services. 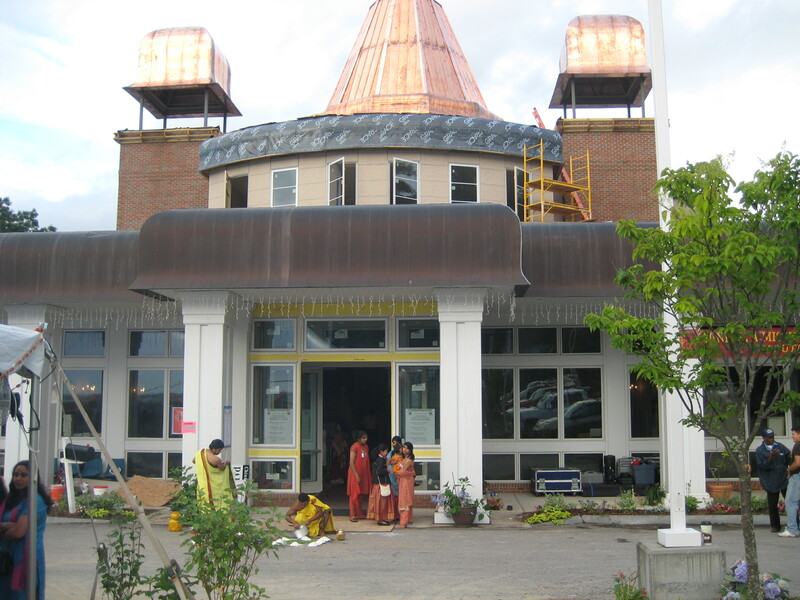 A century after Swami Vivekananda, and nearly twenty years after the first Hindu temple was consecrated in Greater Boston, expressions of Hindu thought and practice are evident and vibrant. Here, we find various active yoga and meditation groups, practitioners of Ayurvedic medicine, a temple youth choir learning Sanskrit chants and Hindi devotional songs, famous universities teaching courses on Hindu scriptures and traditions, and various student organizations focused on preserving the rich Hindu traditions among the American-born children of recent immigrants. 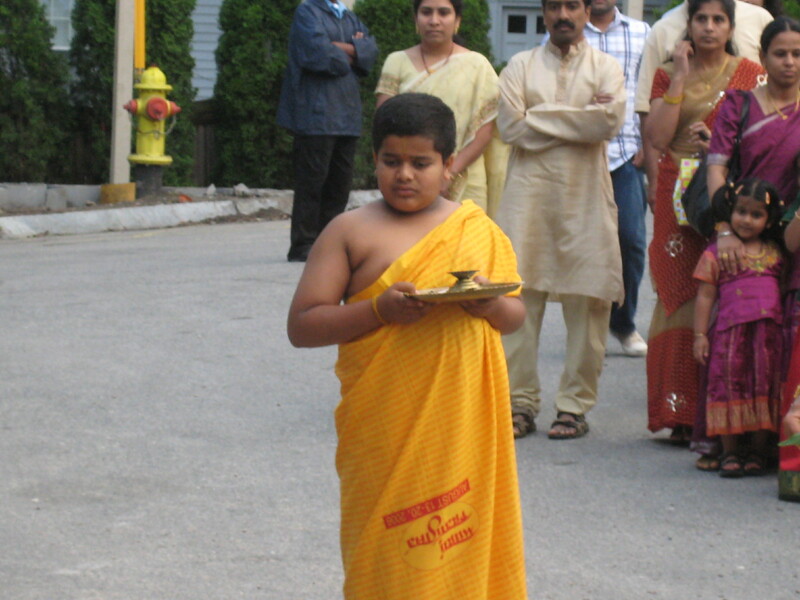 These are but examples of the richly complex Hindu landscape in Greater Boston today.